After seeing the fabric of society torn several times in disasters that cut electric power in communities, forcing families to make do somehow, I have learned a couple of things. First, the most popular items that folks stock up on, food and water, were seldom unavailable and were the first to be resupplied. 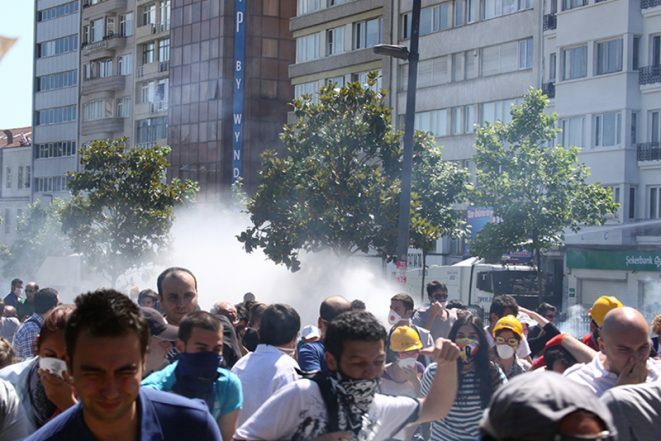 Second, even when you prepare for the worst, the most needed but hard-to-find commodity is accurate information on what is happening. A portable, variable-band radio that operates with multiple power sources will deliver vital local information, such as changes in weather, recovery and rescue efforts, and even contact with people outside the hot zone. 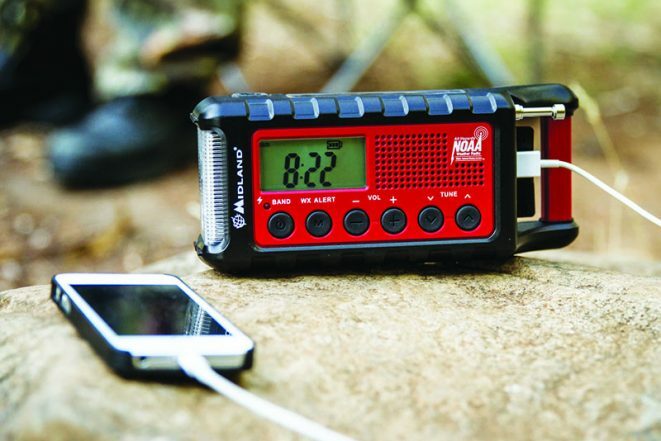 We looked at various models of survival and emergency radios to find out not only what is available, but also what features work best for survival mode. One of the first reviewed was the new Kaito Voyager KA500 that is typical of most emergency and survival radios. 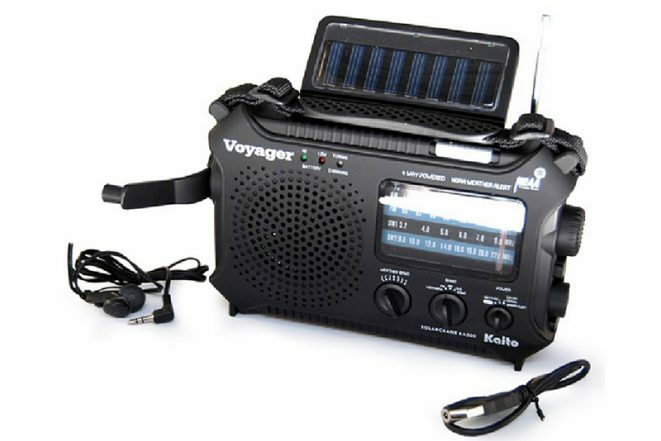 The KA500 meets emergency preparedness purposes or outdoor challenges with multiple power sources including AC/DC (purchased separately), three AA batteries (also not included) and a built-in rechargeable Ni-MH battery, which can be recharged from the AC adapter, or by a photovoltaic solar panel. 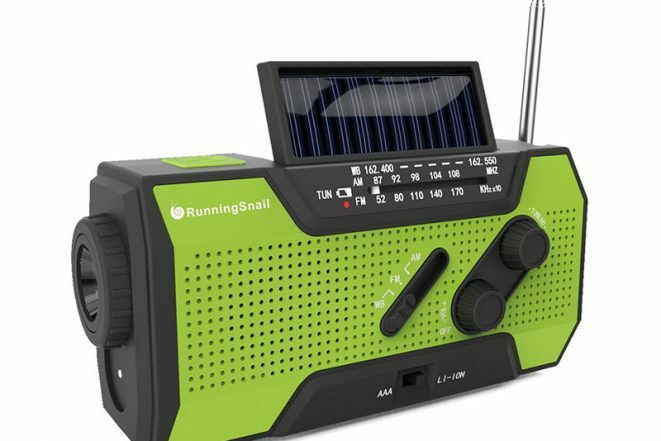 The KA500 also has a dynamo hand crank, which recharges the built-in battery, plus the radio, flashlight and reading lamp, even with no battery installed. Also, you can use the crank to power your cell phone or other electronic gadgets from a USB port at the back of the unit, if they have USB connections. You can tune the KA500 to receive a broad range of broadcasting, including AM or FM stations, shortwave, and seven pre-programmed weather stations operated by the National Oceanic and Atmospheric Administration. The NOAA channels, numbered 1-7, are reachable by turning a switch; no more guess work with the tuning dial. Compared to similar solar-powered emergency radios, the KA500 has a 180-degree adjustable solar panel, which can maximize sunlight exposure to power up the radio or charge the internal Ni-MH batteries. On the back of the solar panel, there is a five-LED reading lamp. Accessories include earphones and a user manual. Scroll through the gallery above to learn more about the Kaito Voyager KA500 and five other emergency radios. This article originally appeared in ‘Survivor’s Edge’ Summer 2017.